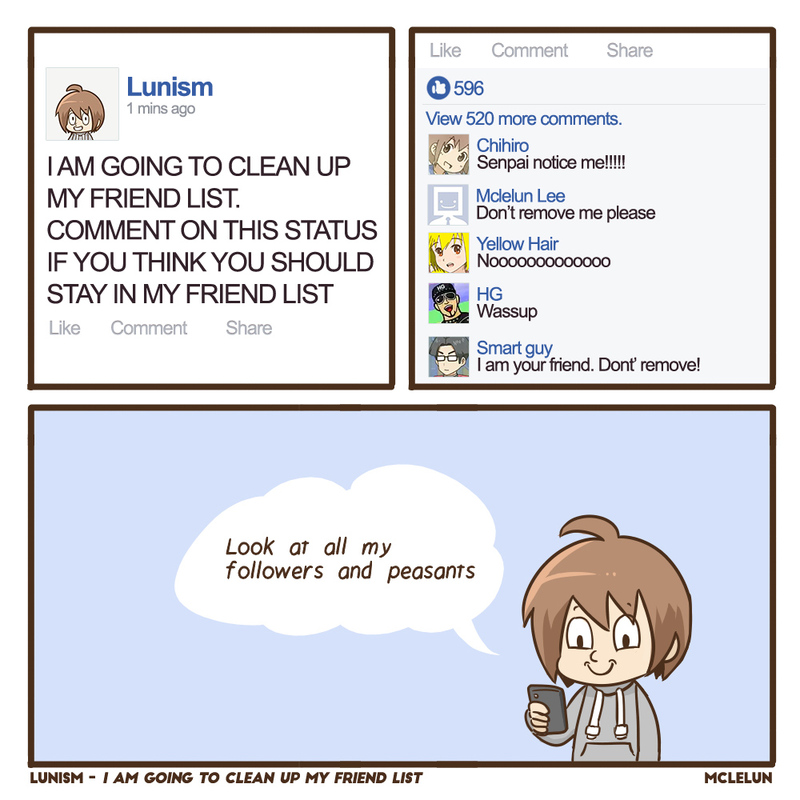 Seen a lot of peoples announcing they are going to clean up their social media friend list. But some of them are offering a chance to stay in friend list by "like' or "comment" in status. wtf?